St Mary’s has a long tradition of choral music which we are very proud to maintain. The choir, which has 7 sopranos, 4 altos, 2 tenors and 2 basses, sings at the main Sunday morning Eucharist service and at Choral Evensong monthly. There are also seasonal choral services such as the Advent Carol Service, Service of Nine Lessons and Carols, and the Epiphany Carol Service mixed in. We are always on the lookout for new members, and would welcome anyone keen on singing to come along to one of our Tuesday evening rehearsals to see and hear what we do. If you would like more information about joining St Mary’s choir, contact Director of Music David Thornton on 01282 614348 or email thornton643@btinternet.com – you will be very welcome! At the Eucharist service we sing a congregational setting of the Gloria together with several different choral settings of the Eucharistic music: Sanctus, Benedictus and Agnus Dei. During the last year we have been alternating settings by Burton, Harris, Nicholson, Nardone, with Darke in E and F.
We also sing an anthem or motet after the communion, we have a repertoire of about 100 pieces ranging from Tudor motets to pieces composed within the last few years. Tallis, Byrd, S. S. Wesley, Stanford, Bairstow, Howells, Rutter and Chilcott are all well represented. At our monthly choral evensong we sing an introit, choral responses, a psalm, a choral setting of the Magnificat and Nunc Dimittis, and an anthem together with hymns. This is a popular service in Clitheroe with many members of other local denominations attending. The choir has sung evensong as a visiting choir in a number of other major churches and cathedrals including: Blackburn Cathedral, Carlisle Cathedral, Manchester Cathedral, Beverley Minster, Cartmel Priory and Bolton Abbey. We practice every week on Tuesday evening from 7.30 to 9.00 pm. We are a hard-working choir and as well as bringing existing repertoire back up to standard, we always have at least one new piece on the go. The Director of Music is David Thornton. 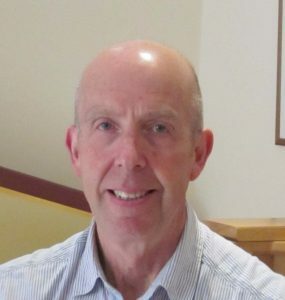 David’s background is in teaching, and besides heading a department, he specialised in musical productions and working with choirs and choral groups. It is no wonder, therefore, that he is keen to work with the choir at St Mary Magdalene’s. 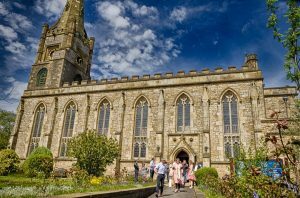 More recently he has moved back into the area, and has been the organist at St Mary’s Newchurch-in-Pendle and organist for the Burnley Deanery Choir. He has also given many organ recitals in the locality at such places as Halifax Minster, Lancaster Town Hall and St Ann’s Manchester. David’s love of French organ music takes him on an annual week-long visit to various French regions, where he has been allowed access to many famous instruments. He is also passionate about the music of Bach, and will be attending the 2016 Bach-fest in Leipzig to hear three major choral concerts.